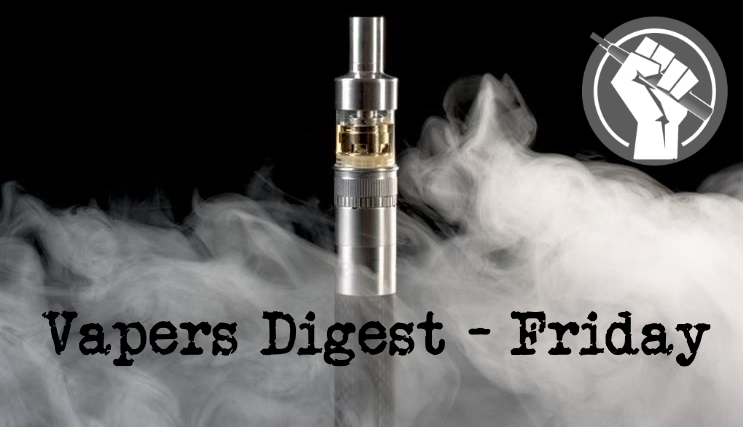 Vapers are used to seeing nonsense written about something they know has benefited their health, and harm reduction advocates are accustomed to witnessing science being distorted – but sometimes the coverage goes overboard and is nothing more than a hysterical mess. Step forward Kate Pickles and the Daily Mail. “E-cigarette timebomb,” screamed the headline. “Vaping is highly addictive and could cause a major health crisis in decades to come, warn lung experts,” wrote the journalist. Worryingly, Pickles is the Mail’s ‘health reporter’! Setting out actions for meeting the aims of the tobacco control plan for England and how progress will be monitored. This delivery plan will monitor how the aims of the tobacco control plan for England are being met. The tobacco control plan was published in July 2017. The delivery plan sets out specific milestones and what is expected at national and local levels. When our organisation launched in 2016 the Tobacco Products Directive (TPD) was already a reality. Our immediate challenge was not fighting the TPD, but credibly influencing its implementation in the UK. Whilst our engagement has produced a better regulation set than was originally proposed, industry and vapers should be under no illusion that the IBVTA is happy with the current situation – we are not. San Francisco Flavor Ban . .
San Francisco voters Tuesday overwhelmingly upheld the city’s ban on flavored tobacco products, including e-liquid. The law will serve as a model for legislation in other cities, with anti-vaping groups already promising bans across the country. The law will take effect soon after the election results are certified. It bans all e-liquid flavors except tobacco, and also prohibits sales of menthol cigarettes, and flavored small cigars, blunt wraps, and smokeless tobacco. Much has already been written about how San Francisco’s recent ban on tobacco product flavors, enacted via referendum, is terrible policy. The ban of menthol cigarettes and most flavors of e-liquid, as well as smokeless tobacco with a characterizing flavors and most all hookah tobacco, will discourage smokers from switching to vaping. In theory the menthol cigarette ban could offset this impact by causing more smokers to quit to abstinence, though there is simply no reason to expect this to happen. Of all the junk tobacco control research, the worst in some ways is the ongoing series out of Stanton Glantz’s UCSF shop that dredges through their “secret tobacco industry documents” library (materially illegally diverted from litigation discovery, a massive collection of memos, reports, notes and other documents from the late 20th century and first few years of the 2000s). Tobacco control’s epidemiology, toxicology and behavioral research are similarly dishonest and faulty. Schwarzer Tag für Dampfer als auch potentielle Umsteiger in San Francisco – Aromenverbot in Liquids droht. Prisons Minister Rory Stewart tells the BBC Today programme this morning that as smokefree prisons were rolled out, the number of inmates switching to #vaping has gone up, with 50,000 vaping products, including re-fill packs being bought every week. FDA Commissioner Scott Gottlieb has again mistakenly blamed e-cigarette companies for teen vaping. Addressing the American Society of Clinical Oncology, Dr. Gottlieb issued a direct threat: “They better step up and step up soon – to address these trends along with us. So far, I must say, I’ve mostly been disappointed by the tepid response from companies that know that a meaningful portion of their sales are being derived from kids. The e-cig companies have a chance to do something about it. Where Are All the Teen Juulers? Nous ne vivons pas au paradis et les hommes doivent faire face à de profonds problèmes. L’appétit pour les drogues illégales et le sexe sont deux exemples qui donnent naissance à de grandes douleurs et souffrances. Les drogues ne se limitent pas aux drogues illégales. Chaque société produit ce que l’on peut nommer ses “drogues culturelles”. Celles d’aujourd’hui, le café, l’alcool et les produits du tabac et de la nicotine servent pour partie de soupape. Dans plusieurs pays, le cannabis semble aussi se rapprocher d’une acceptation culturelle. Independent vaping companies, free from ownership or control by the tobacco or pharmaceutical industries, make up 90 per cent of what is one of the fastest growing industries in Britain. UK vaping businesses are known globally for their innovation and product stewardship, and locally, independent vape shops are one of the few areas of positive growth on our high streets. It’s been a year since mandatory plain packaging for tobacco products was introduced in the UK. All tobacco products now have to be sold in greenish packets without distinctive branding. It was supposed to discourage smoking by making the packaging look unappealing. But when we look at plain-packaging policies around the world, the evidence tells us it has been a failure. Association of Vapers India (AVI), an organisation representing smokers, has urged the Rajasthan government to bring a robust policy to regulate e-cigarette in the state. The consumer advocacy group has offered to provide support to the government for the formulation of the policy. Is vaping good for smokers or only for Big Tobacco? Karen Counter isn’t quite sure what side of the law she’s on, but she’s 100 per cent sure she is right. The GP from the NSW north coast is signing up to proliferate electronic cigarettes – a product that has sparked outright war within her profession and disagreements within the government. Parliament is re-considering a bill proposed by the Bright Future party in 2017, which would create restrictions on vaping, Vísir reports. The bill was first proposed by former Minister of Health Óttarr Proppé of Bright Future in early 2017, and would prohibit vaping in certain spaces such as restaurants, cinemas, cafes, bars, and other public spaces like schools, hospitals, and on public transportation. Some schools have already banned vaping on school premises, such as Menntaskólinn við Hamrahlíð. To compare the effects of i) high versus low nicotine concentration e‐liquid, ii) fixed versus adjustable power and iii) the interaction between the two on: a) vaping behaviour, b) subjective effects, c) nicotine intake, and d) exposure to acrolein and formaldehyde in e‐cigarette users vaping in their everyday setting. Ex-smokers might be better off..
Well done to Canada for allowing smokers to access harm reduction vape technology. Boo to the idiots at the Organisation for Respiratory Health in Finland for producing a quit guide of breath-taking stupidity. Big boos too go out to Italian politicians, who have presided over a halving of the number of vapers. Finally, raised glasses all-round to Doctor Sharon Cox for speaking about harm reduction in such a coherent and levelheaded manner. Significantly fewer people die from tobacco-related diseases in Sweden than in any other EU country. This is despite the fact that Swedes consume as much tobacco as in other EU countries. In fact, in 24 of the 27 other EU countries tobacco related mortality is more than twice as high as in Sweden. I shall use smoking to mean vaping and smoking. For vapers, the way smokers are treated is the absolute pivot of their own treatment in the world. To defend ourselves, we have to defend smokers.